Dwell Diaries provides a peek at a “day-in-the-life” in one of CORE’s exclusive listings. 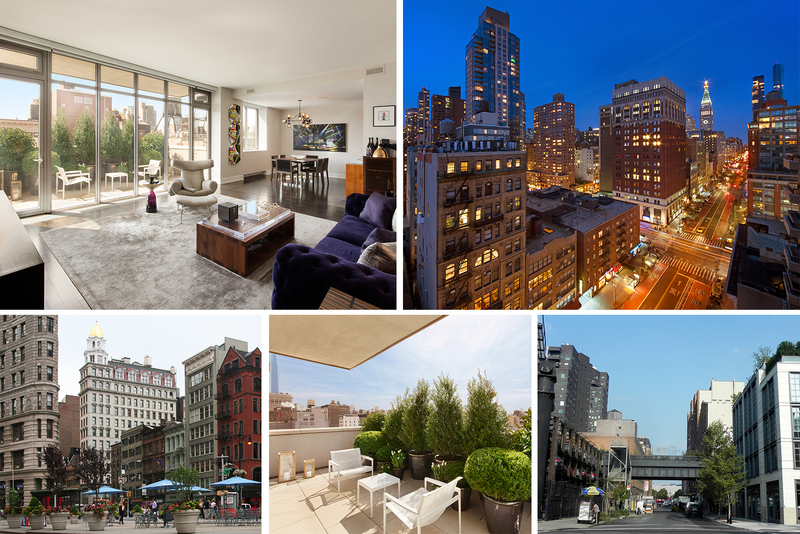 From master suites to neighborhood hotspots, our diary doesn’t spare a detail. Waking up at 124 West 23rd Street, 15A is nothing short of blissful. Thanks to this three-bedroom’s location at the cusp of Chelsea, Flatiron and Nomad, each morning presents itself with not only endless convenience but also ample opportunity for “New York moments.” Floor-to-ceiling windows in the luxurious master bedroom suite ensure natural light doesn’t escape your morning routine. The master bedroom suite also boasts a deep soaking tub and radiated heated floors. Who needs to a spa day when everything you need for relaxation is at home at 124 West 23rd Street, 15A? Even though this boutique building features a fitness room, gym and 24-hour concierge, you don’t have to go much farther if you wish to switch up your workout regimen or run errands. Firstly, luxury workout locales such as David Barton, Equinox and SoulCycle are only blocks away from 124 West 23rd Street. With proximity to three vibrant New York City neighborhoods, there is no shortage of excellent shopping, dining and other activities. Eataly, the largest Italian marketplace in the world, situated in Flatiron is a one-stop-shop for high-end groceries, upscale (and al fresco) dining and much more. If you’re only looking for the necessities this afternoon, your local Whole Foods in Chelsea should do the trick. Finally, some of the best luxury shopping lives on Fifth Avenue – you’ll find Anthropologie, J.Crew and Michael Kors to name a few. Fancy an afternoon pick-me-up? Dough Doughnuts, the Brooklyn spin-off on West 19th Street, is the perfect pit stop for a sweet treat and coffee. If your pick-me-up is more savory than sweet, nostalgic New York City doesn’t escape this neighborhood, thanks to the nearby eatery El Quijote. Once part of the historic Chelsea Hotel, this longtime eatery offers traditional Spanish dishes. As the evening nears, and with groceries in hand, why not enjoy dinner at home in your open Snaidero kitchen? Dine al fresco on one of your two private terraces while gazing at the New York City skyline; 15 floors up on West 23rd Street is wonderfully quiet on a spring evening. In the hub of Chelsea yet outside of the fray in this quiet, boutique building – what’s not to love about living at 124 West 23rd Street, 15A?